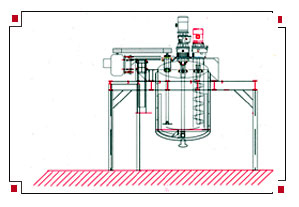 Dispersion of high viscosity products cannot be dispersed in an ordinary disperser because the product almost remains immobile in the container. Since high viscosity products are not free following and the dispersion cannot apply additional energy to put the product to roll more freely. ALIPERSER helps the high Viscosity products to move more freely due to it's unique design. 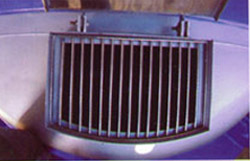 Our machines are designed and made with high quality materials and are manufactured with precision. We would be able to design a tailor made unit as per your product and your requirement. There are variety of viscous materials that are mixed in the laminar regime including polymer solutions, pasters, gums and semi solids. 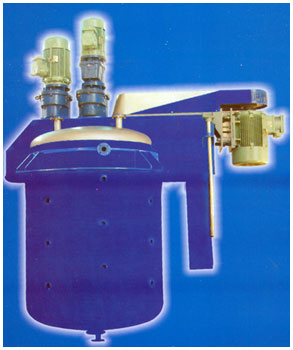 1) A disperser is mounted on the top off centered with hydraulic lifting arrangement for up and down movement of the disperser while in operation. 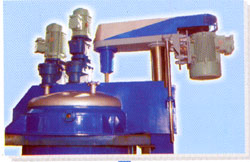 The disperser is fitted with a cowle's blade and the speed can be adjusted by means of a frequency driving during operation. 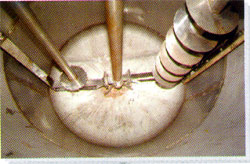 2) A Screw mixer is mounted on the top is also off centered. 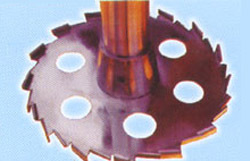 The unit feeds the product from the top of the vessel to the bottom and vice-versa in order to obtain consistent and quick dispersion of the product. 3) The third unit is mounted on the top located centrally and fitted with a scraper which ensures that the product is moved homogeneously. The scraper scrapes the sides of the vessel and sees that no particle unmixed lies on the walls and the bottom.